New tennis courts are being served up for free as a borough-wide scheme hopes to get more people playing. 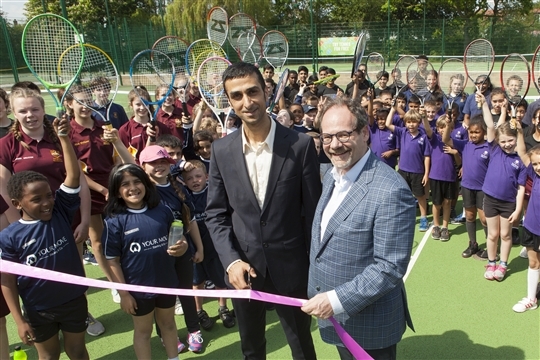 The “state-of-the-art” courts in Ridgeway Park in Chingford opened on May 12 ahead of the 'Great British Tennis Weekend' on May 14th & 15th which offered free-to-play activities for all ages & abilities. The park now features six floodlit outdoor tennis courts, two mini tennis courts, a multi-use games area and a new pavilion. A council-led scheme called Play Tennis Waltham Forest is asking people to pay £30 a year for “unlimited tennis” at courts in Abbotts Park, Chingford Memorial Park, Lloyd Park and Aveling Park. Families can alternatively pay £45 a year to play tennis on one of the borough’s 18 full-size courts and four mini courts. All courts can be booked up to seven days in advance online - just go to the 'where to play' tab to find out more. Don't worry if you missed the Great British Tennis Weekend in May as it's back on the 16th & 17th July and you can reserve your FREE session now by visiting the Ridgeway Park page in the 'where to play' section of the home page.